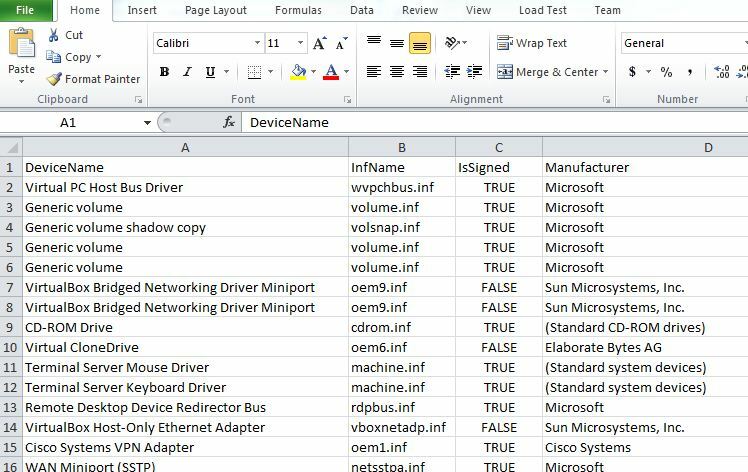 Consider a scenario, where you need to take an inventory of all the Device drivers installed on your machine. This information will be very essential to identify the vendor details, Driver files and other important stats. Driverquery command will exactly help us in this purpose. If you want a compact record of installed drivers in a reporting format, use this command with appropriate switches. As we saw above, DriverQuery command gives all the information; You can modify the output of the command with a variety of switches, and you can redirect the output of the command to a file so that you can load it in another program. Similarly, using the /SI switch to get all the information on the signed drivers installed on the machine. 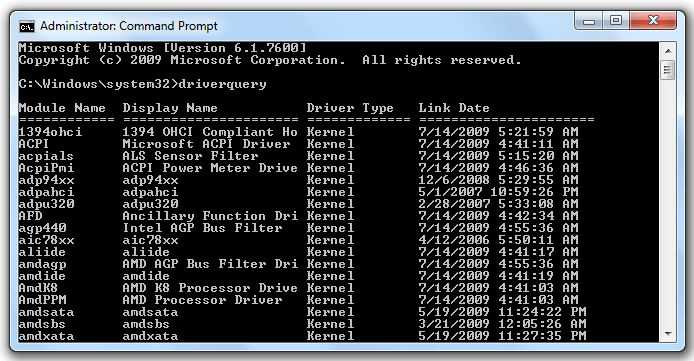 For a full list of the switches available for the Driverquery command., run the driverquery with a /? switch. Want to Package Device Driver Applications? – Well, use DPInst.exe – Simple! How can you manage Windows Services effectively? 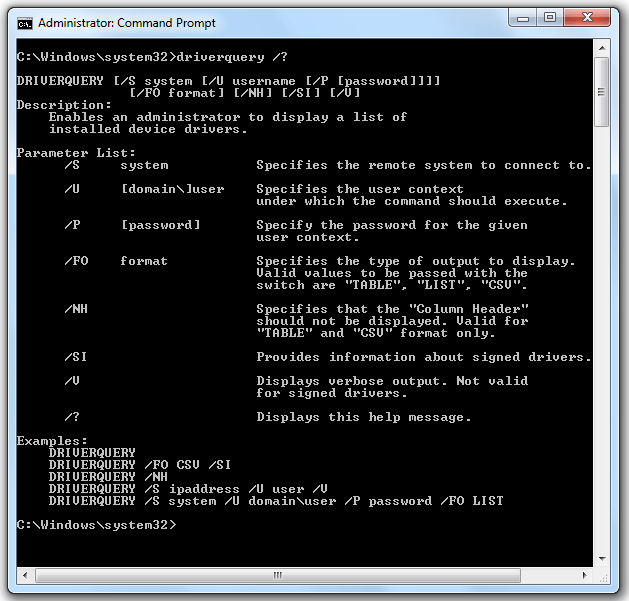 Posted in How-to and tagged Command Line Switches, Device Driver, Drivers, howto, Tips. Bookmark the permalink.